My indie project is “weird” because I broke a six hundred page journal about an awakening experience into three separate stories and published it as a trilogy in just over a year. In blogging about it, I publicly explored my spiritual journey. Writing and publishing the first three Burnout to Bliss books in such a limited time was exhausting. But I learned more about indie publishing and shared it on my blog, Skating Thru 2012. And the most important thing I learned was not about publishing. It was about why I had written the series. Indie authors understand the “why” of writing books is either “write to market” (to make money) or as a “passion piece” (something you want or need to do). Non-fiction authors are also advised to determine their “why” before they even start writing because it shapes the story. In the beginning, mine was a “passion piece” because I viewed it as a legacy for my nieces, who were now the same age I was when I had that remarkable two-year experience almost thirty years ago. It began with pervasive discomfort in my once-loved job as a professor and disappointment with my inability to find someone who could “see me.” My nieces could be having a similar experience! 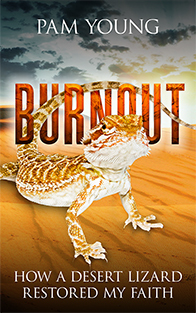 When I completed BURNOUT – How a Desert Lizard Restored My Faith, I believed it worth sharing because it highlighted the madness (psychotic episodes) of professional burnout. I knew I wasn’t the only one who had felt such despair. And sharing personal experience, at least according to National Association of Memoir Writers, is why people write memoirs — to shed light on the way. I also hoped to instill respect for other spiritual paths because my return to faith happened strangely while camping with Mexican Indian Shamans. 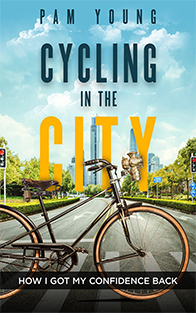 Cycling in the City – How I Got My Confidence Back told a different story. As the first break-away from the job, it relates discovering the depth of damage from burnout and what I did to get better. I know I’m not alone in the experience of realizing that life no longer works. I saw sharing my story as a way of helping others. Part Two of that book is a model I created for making severe changes, like breaking addictions. But that was not the only reason for writing it. Having just learned about Amazon “Shorts,” I wanted to experience writing one. This story seemed perfect for the exercise. Why did you write your personal story, your memoir? 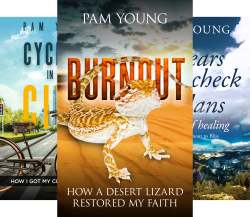 This entry was posted in Personal Journey, search for meaning and tagged Burnout to Bliss series, forgiveness, healing journey, indie publishing, life lessons, memoir, Mom, mother-daughter relationship, My Weird Indy Publishing Project. Bookmark the permalink. Love your blog piece. Insightful. Thought provoking. I’m now meditating on my reason why. Will let you know the result. Such a good idea for a blog post Pam, I will reference your post. Thank you. Thank you, M.A. Loss. So happy you dropped by.